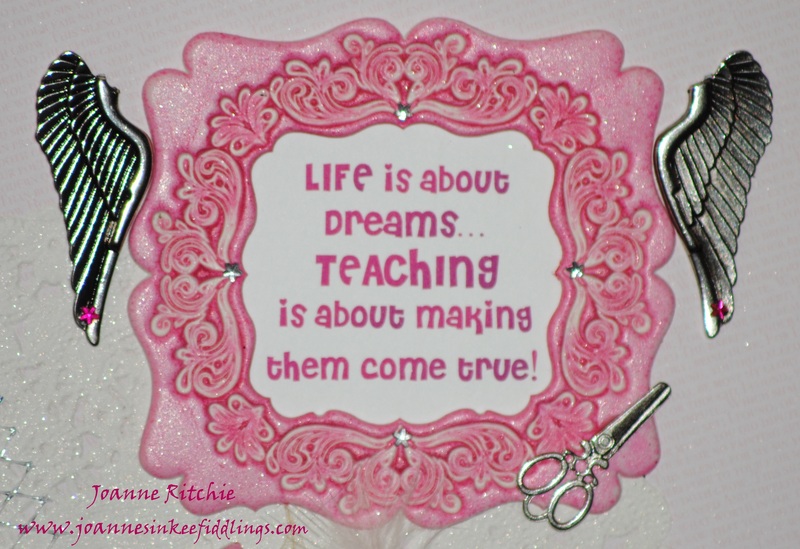 Miss Ten’s teacher is retiring at the end of this school year and as she was such a fabulous teacher to both my children, I wanted to do something a little special for her. Initially I was going to create one of those Crayola-Letters that are all the rage over Pinterest at the moment. I had dozens of them printed off but as the time drew closer to commence work, I felt if I could find so many instructions so easily, they couldn’t be that special anymore. So back to the drawing-board and back to what I know best. Collage work I guess you might call it. It’s a shame I hadn’t appreciated at the time how bad the lighting is but at least I have a photo! 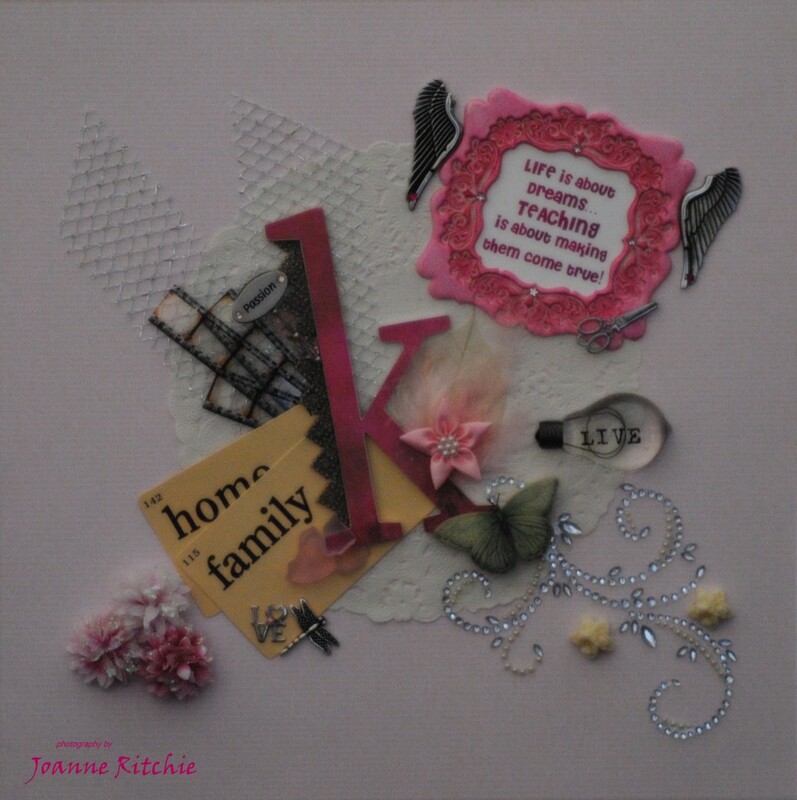 This collage has been created on a 12″x12″ sheet of DSP then was framed in a 12″x12″ shadow box. It did look even nicer in the shadow box I do admit but because of the glass it made for lousy photos. Talk about being in a no-win situation yesterday! 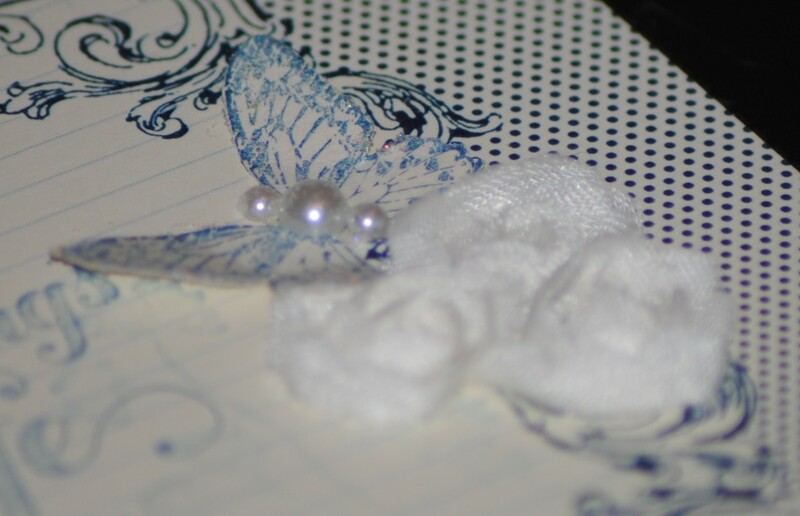 Some of these embellishments I have had for ages, waiting for the “right” moment, and here it was. I couldn’t believe all the bits and pieces and I had tucked away in my stash! The quote I found on the web then found the right font and color before sizing it for the frame that I’d hand-sponged with an assortment of inks until I was happy with the shade. 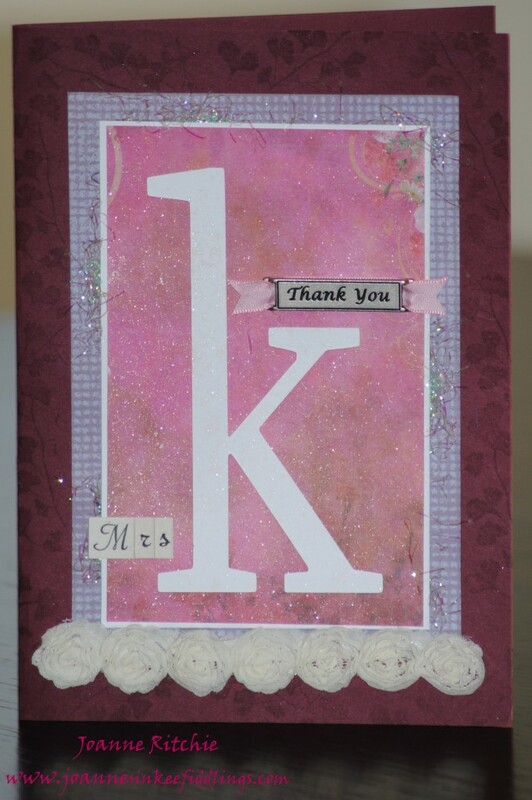 Then just to prove the letter “K” I’d used wasn’t just some random letter I’d bought, I used the negative space that was left behind on the DSP for the card. You know me, waste no want not! 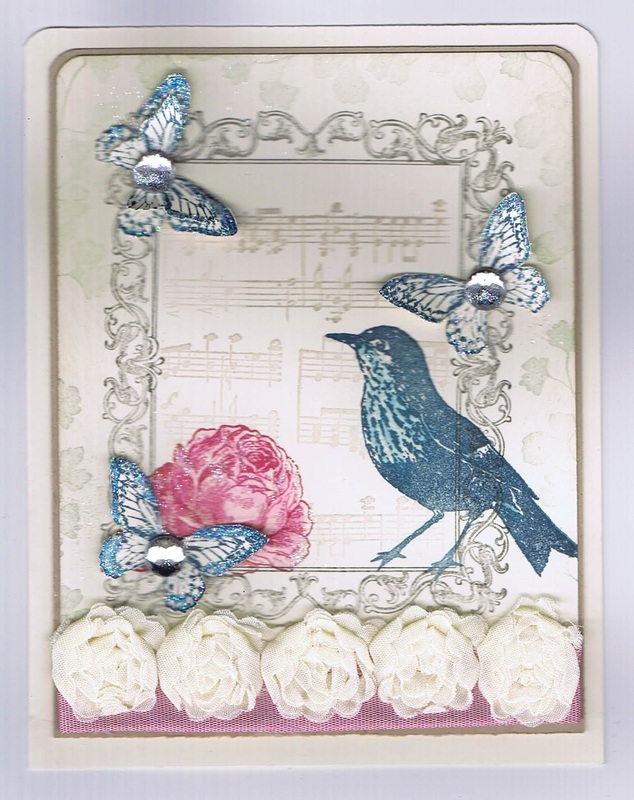 Wishing you all the best Mrs K – here’s hoping you have more time now to create! 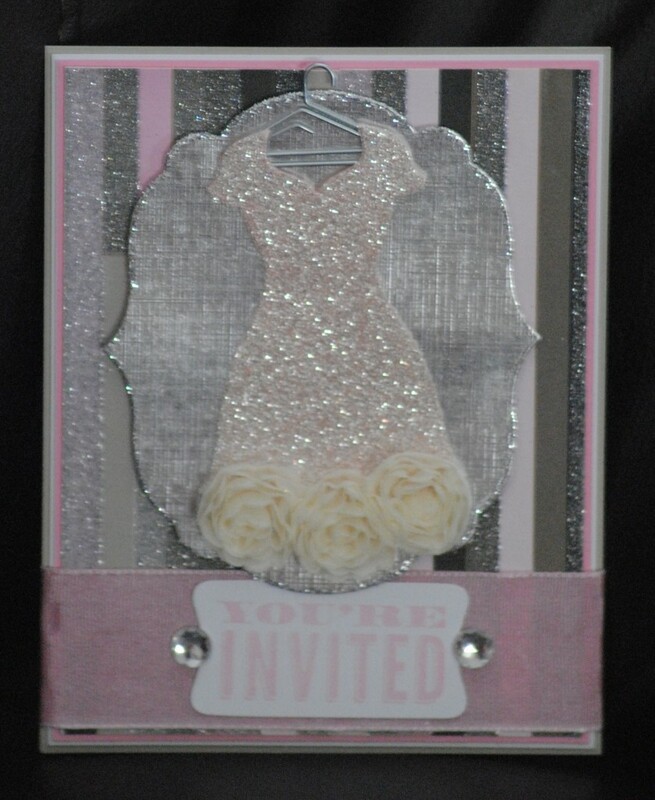 Anyways, it wouldn’t be a birthday without a party and what does every party begin with… an invitation! 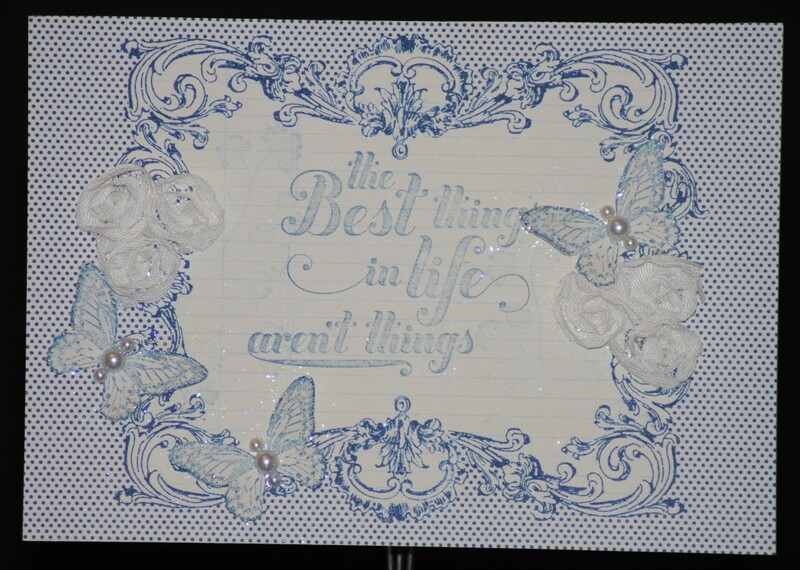 This is her invitation for 2013 which I’m pleased to say she was MORE than happy with! 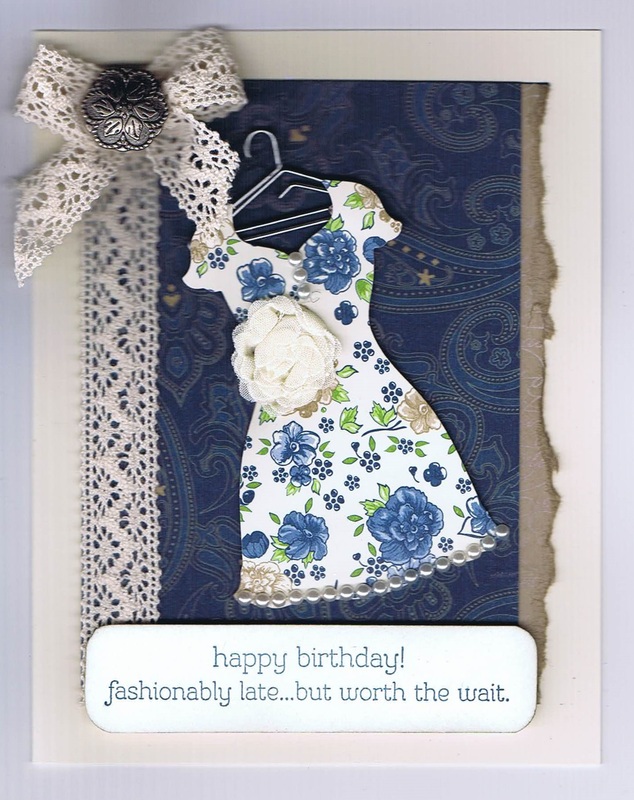 With so much bling it was a tad difficult to photograph but I did want to point out that the dress is cut from the Stampin’ Up! 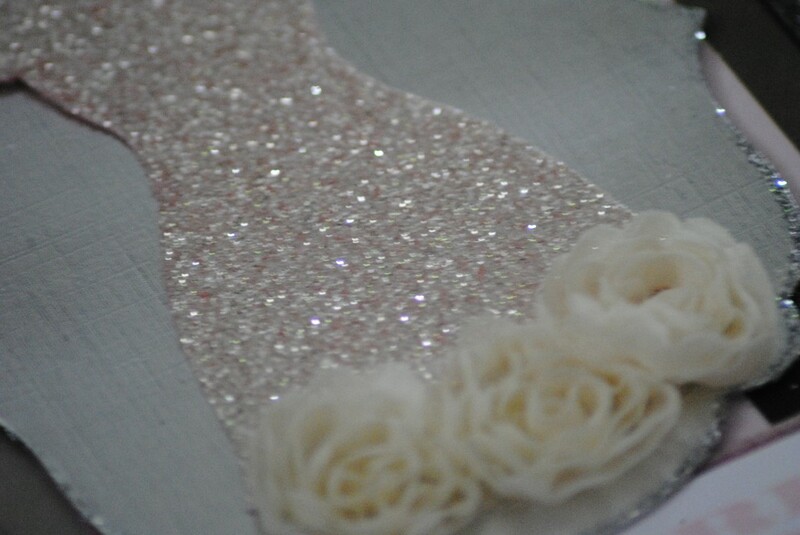 Glimmer Spray which I’ve simply spritzed with Pink Pirouette. This is it close up – nice huh? 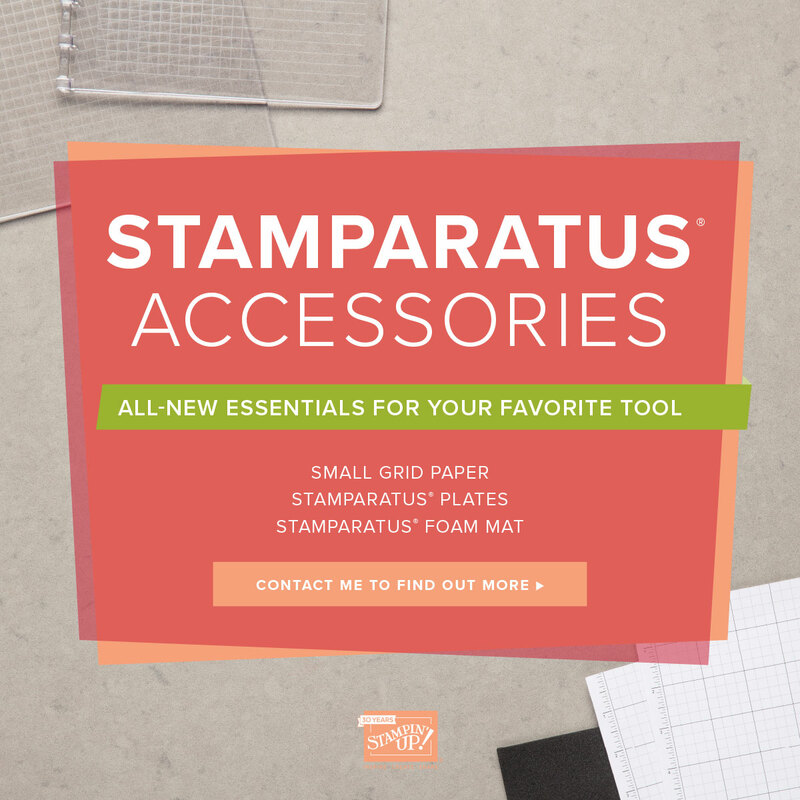 This is the name of a fabulous Stamp Set in the current Stampin’ Up! Spring Catalog that co-ordinates with their Framelits Dies, Dressed Up. How cute is this (and goes without saying, there’s a Vanilla Flower Trim)? 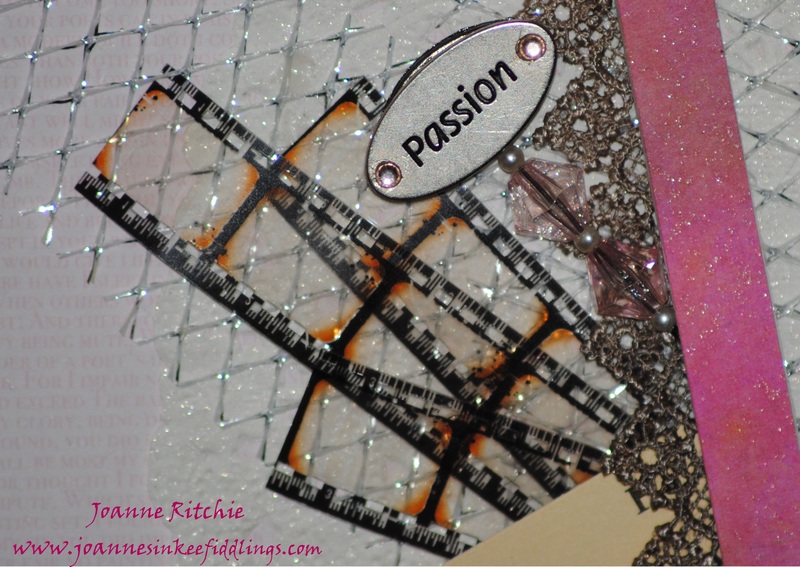 I love this Print Poetry DSP 4-1/2″x6-1/2″ Stack which can also be found in the Spring Catalog. 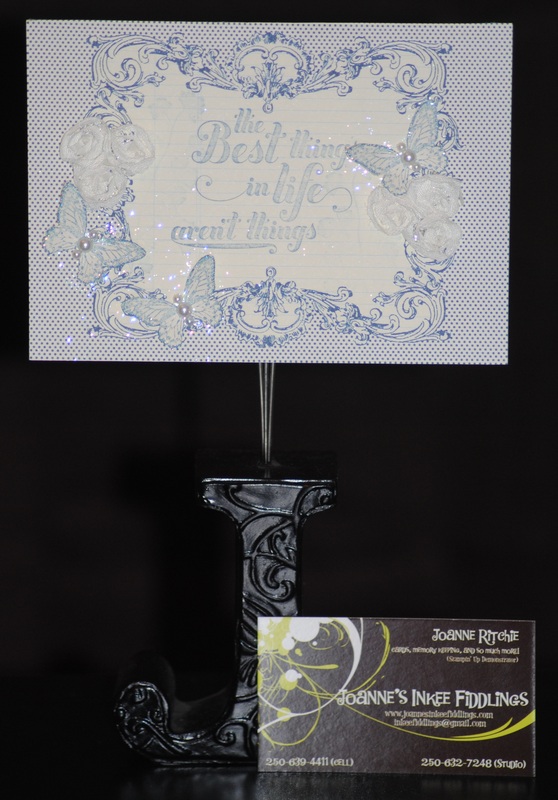 There’s 4 each of 12 double-sided designs, just beautiful! And what about this super-cute new coat-hanger? These are from the new set Hung Up Cute Clips, part of the new This & That collection that was available as a teaser last month in a bundle and will be available May 31 in the new annual catalog. 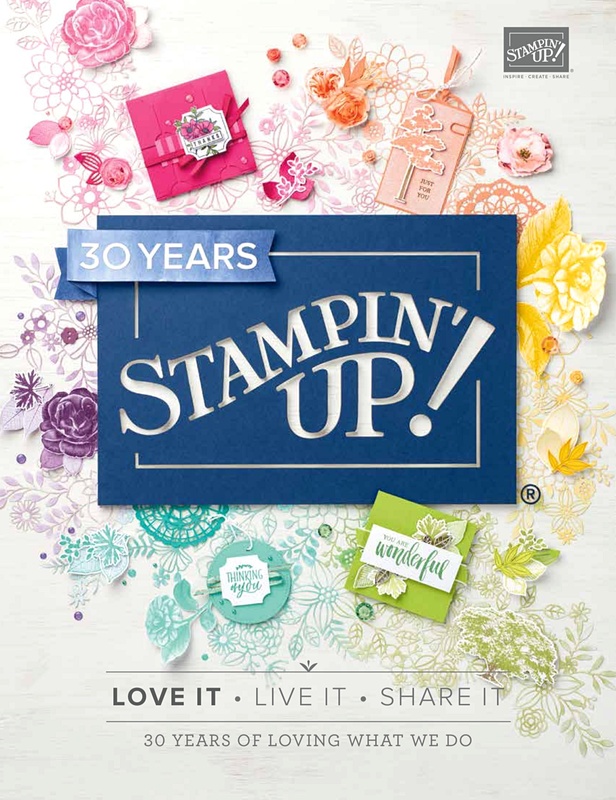 And don’t forget, this Spring Catalog expires May 31st so get your orders in quickly… tick, tock… tick, tock! 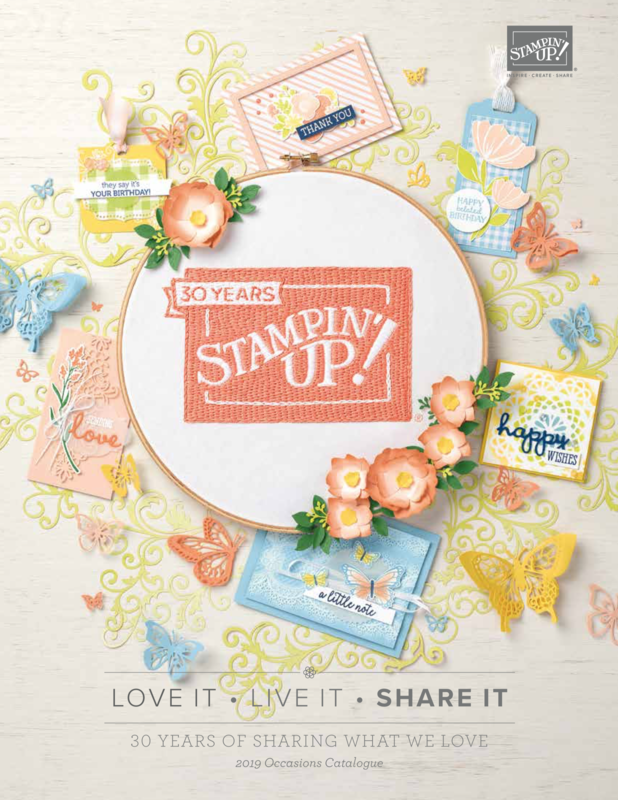 With all the anticipation of the new annual catalog going live with Stampin’ Up May 31st, it could be easy to forget that the Stampin’ Up! Spring Catalog concludes that same day. 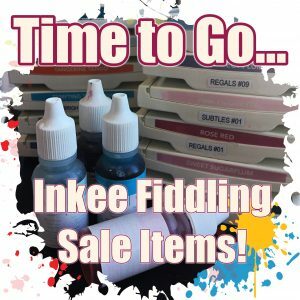 So with just a few weeks left on this catalog don’t forget to place your orders on any items you may want, or worse… NEED! 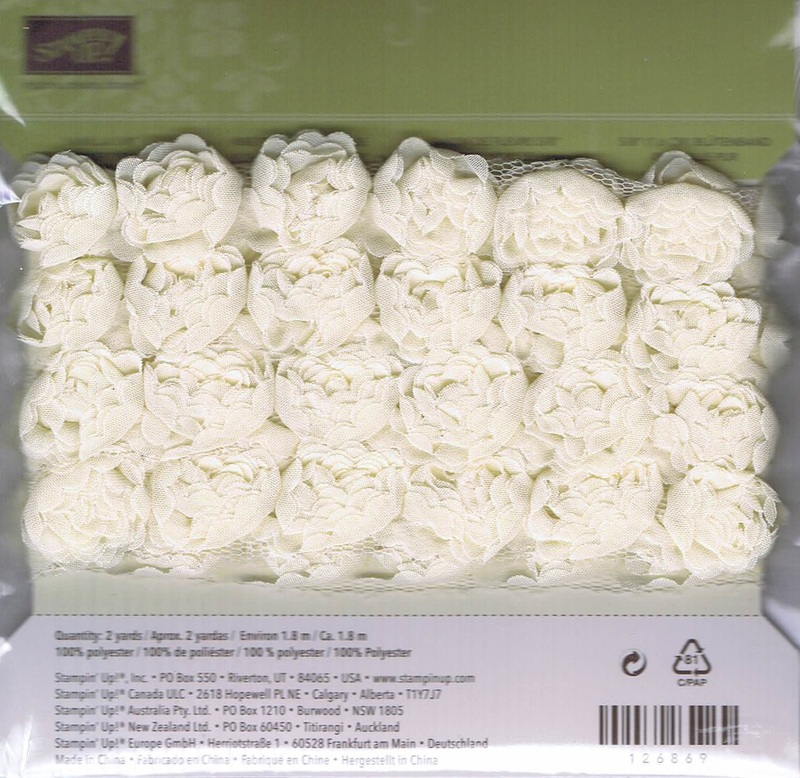 For me, the 5/8″ Vanilla Flower Trim is that very item. Honestly, I just can’t get enough of it! Individually or on-mass these flowers are a “must have” embellishment in the Inkee Fiddlings Studio. 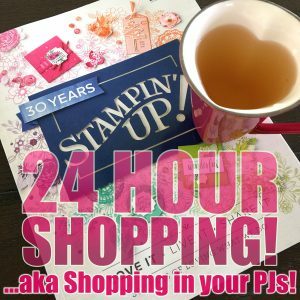 So don’t dawdle, let me know as soon as you can of any items you NEED and remember, for all orders over $50 you’ll receive a copy of the new Stampin’ Up! Catty that goes live May 31st!